William Hill Championship: Results and mission winner!! The William Hill Championship is now over! More than €2,000 are being distributed! And the big winner is @Mellodian !!!! Congratulations also to @Bnasp @Jackofclubbs @ArchyWraith and @CueCue22!! and the prize pool here. Congratulations to you all, and see you soon on RankingHero and on William Hill! The mission #HandHW is also over! You’ve shared screenshots of hands played on William Hill. And the winner is @Gh0sT!! Congratulations to him! He wins a €300 iPad! Thank you. 2nd place is great (even with a bit bitter taste, being one coinflip from Malta). congrats to @Mellodian and @Gh0sT... gogogo guy !!!! With who i must talk about that ipad? The winners will be in contact with me or @Elena RKH. I hope @Mellodian will post some Malta report. When is that MPLS actually? The festival is from May the 6th to May the 10th. I also hope he will give us some nice hands to read . Thanks guys, am happy and very excited about my first ever live poker event. She! will try to make the best out of it, I will keep you up to date .... hope donkey speak will be enough to keep you in the knowing about what will happen. Thanks RankingHero and all compiters! Enjoyed alot of good poker and lot's of fun. Even made some new friends! Congrats Mellodian. You American luckbox haha. We do this soon again right? PEACE to all players that played and all RHK members and admins! PEACE PEACE PEACE. Well done all and enjoy Malta Mellodian, but I am unsure did I win anything..New this site. congrats to all i'm sorry cannot partecipate cause of my country limitation to access to .com poker site....ciaoooo very gg to all, super cup !!! Not in yet, just checked but will wait few days. Many thanks for your help Alessio. Congratulations to all the winners! :) You'll receive a private message from me with all the information needed tomorrow. Nice promotion thanks @RKH for opportunity to play, Congrats all team @Elena RKH @Annie Rkh @Rémi Rkh and others, and congrats all winners!! Check your accounts, the tokens are available. So what are the wins from tokens @Jackofclubbs @ArchyWraith and @CueCue22!!? For me 20€ so far from twister (no jackpot). 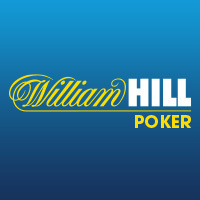 William Hill championship: Results and new FREEROLL!! Congratulations to all the contestants who not only win money but also points for the Championship leaderboard! Find the full ranking here. The new freeroll is tomorrow! Tuesday the 21st of April, at 8 pm, is your last chance to win the €1,500 package for the Mega Poker Series in Malta! Register on William Hill: follow this link and GET A 200% FIRST DEPOSIT BONUS UP TO $2,000! 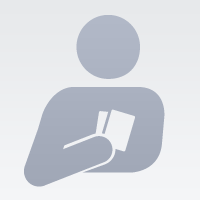 Enter your login in the green box on the top left of this page "Connect your William Hill account". You’ll receive a password 30 minutes before each tournament in your RKH inbox. €2,000 up for grabs, a package to MPS Malta, a chip case and hundreds of euros in online tickets! Side mission with an iPad up for grabs! We also organize a side mission with a €300 iPad to win! Post a screenshot on RKH of a hand played on William Hill with the hashtag #HandWH and tell us about that lucky setup or horrible bad beat. The most liked post wins!!! Fin the current Top 5 on the left column of this page. RKH to Malta 3 - The freeroll is tonight at 8 pm! :) Your last chance to win a package for Mega Poker Series Malta! Keep posting your William Hill screenshots to participate in the side mission and win an iPad! 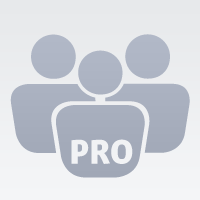 The player with nickname donmladja91 has been posted the password on chat. As I said only the RankingHero members will receive the rewards. William Hill Cup: 2nd Freeroll tonight! Tonight is the 2nd tournament on William Hill: RKH to Malta. Don’t miss the chance to win a‬ package for @Mega Poker Series Malta! Score points towards the €2,000 RKH William Hill Cup and earn cash and tokens in the added money freerolls. Come and play at 8pm in the Freeroll with €100 added money. You'll get your password in your RKH mailbox at 7:30. Take screenshots during the freeroll on William Hill and post them on RankingHero with the hashtag #HandWH to participate in our Side Mission. The winner gets a €300 iPad mini. More info. I request the player Jackofclubbs to be eliminated from this competition, is the second time when he is posting the password on chat. Fair play is a fundamental part of the game...Don't forget only the RankingHero members will participate in the final Leaderboard and win the package for MPS Malta and our goodies! You guys know me, I have only good intension. I thought maybe PC problems, so therefor password was no good. I remember he was in I think last week aswell. So I don't know the problem. I sometimes had problem with password on my laptop aswell. Would have been sorry to missed out on such a nice tournament. Also you can register at anytime on RankingHero so, If you see this player who got password. Be haistly to register at RankingHero. And yes Annie I have my way with a good stack, so let's see what happends, good luck to all players. Hello Gh0sT, as I said I thought PC problems. My bad. Good luck in tournament. I was low stack on William Hill aswell. Im I still in? Where is last weeks winner? I won't do it again ok RankingHero, my sincere apoligies. You helped me so good, when I did my wrong username. I just wanted to help. Gotta give me some credit for that Elena, again sorry. Btw maybe a good idea to also play with you guy's the forum guy's. That would make things nicer and we have a chance to get to know you. You wanted a good idea, that's one for you! 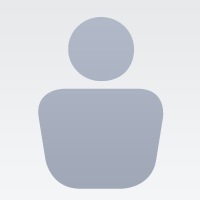 @varzao can you pls enter your William Hill username in the green box on the page http://www.rankinghero.com/william.hill.5 ? Then you'll receive the password. Hey Gh0st, I understand your frustration, but Jack said several times he didn't mean any harm and won't do it again. We've had technical issues in the past so it's actually nice to see people trying to help each other out, can we keep up the good spirit? I wasnt frustated but is not ok what he did, said he have problems with pc but i don`t understand how you can post the password on 2 tables if you have really problems with pc or that virus has posted the password for players who are not RankingHero members.I`m sure he will post again next week the password on chat, he maded this thing 2 times. I was eliminated by the player who jack gived the password and i`ve lost points. 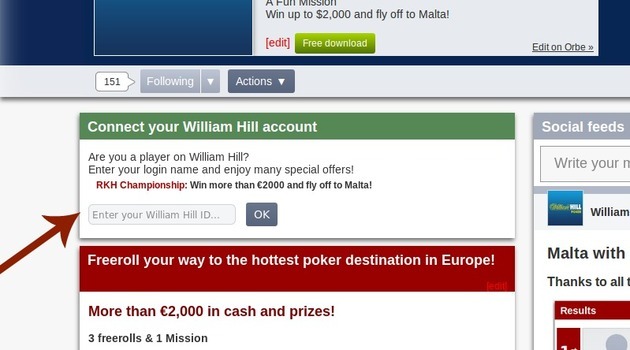 Malta with William Hill: Results & new mission! Thanks to all the contestants in the first William Hill freeroll! Congratulations to the winner @Gh0sT ! He wins €50 and scores 150 points for the William Hill Cup! The next freeroll will take place on Tuesday, 14th of April. The highest ranked contestant in the Cup will win a €1,500 package to play the @Mega Poker Series Main Event in Malta! Here is the full prize pool! A new mission with William Hill! During the Cup, we are also organizing a side mission with a €300 iPad to win ! A♥ Post on RKH a screenshot of a hand played on William Hill with the hashtag #HandWH, and tell us about that lucky setup or horrible bad beat. A♦ The most liked post wins!!! Subscribe to William Hill with the CODE: RH2000 to receive many bonuses on your first deposit! I just got the biggest beat this tournament Malta 2 I think it won't be worse then my last hand of Malta 2 Ranking Hero.! Lost too a straight with my high pair. Was caught on river. There for my change of top3 was out of the question. Does this count for the Side Mission? I don't know how to make screenshot. Tokens, freerolls and bonus: 3 reasons to play on William Hill! 1. William Hill welcomes RankingHero for a freeroll championship! More than €2,000 in cash and prizes! * William Hill does not guarantee availability in terms of stock for this item. If we are out of stock, the player will be issued £50 cash to his William Hill Poker account. We also organize a side mission with a €300 iPad to win ! A poker offer you'd be crazy to resist! RankingHero and William Hill are giving you the opportunity to travel to a dream destination and play in a fantastic poker event! Even better: you can win cash & goodies while competing for the 1st place prize! And best of all: it's totally free!!! 1. It's FREE for RankingHero members with a William Hill account! 2. The 1st place prize is a $1,500 package for the Mega Poker Series, to be held in Malta for the first time this year (May 5-15)! 3. There are lots of prizes and cash to win in each freeroll! This WH Open to BRAZIL RKH ??? RKH Freeroll Championship on William Hill! Freeroll your way to the hottest poker destination in Europe! 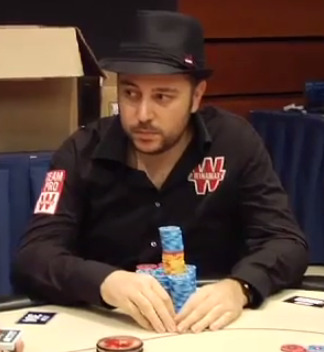 @William Hill welcomes RankingHero for a freeroll championship! On top of that, you can win cash in every freeroll! During the championship, we will organize a side mission with a €300 mystery prize ! Subscribe to William Hill: follow this link and GET A 200% FIRST DEPOSIT BONUS UP TO $2,000 with the code RH2000! Play the freerolls and crush your opponents! Fly to Malta and win the Mega Poker Series. Hello Elena, again jackofclubbs. I play at william hill too. But I filled in my ID as jackofclubbs, but the lobby says jackofclubbs1. What should I have filled in? Because I want to enter ofcourse, because RankingHero Cup rule the poker online-world at the moment! William Hill just confirmed my ID on table should be jackofclubbs1. Can you fix this for me? So I can still play? I needed to be jackofclubbs1 and I did jackofclubbs. Please help me ok. I want to be in! @Jackofclubbs no problems ! I'll fix it and you'll receive the password on time. Thanks alot to both of you for making this poker tournament happen. And thanks alot for fixing Elena. Man you so nice! You the best Elana, bless you!! Username which i use when i login or Nickname who appears on tables? Gh0st username that you use to login pls. It worked thanks again Elena!